65 year old woman with a calcified left adnexal lesion incidentally noted on a CT done to evaluate pyelonephritis. 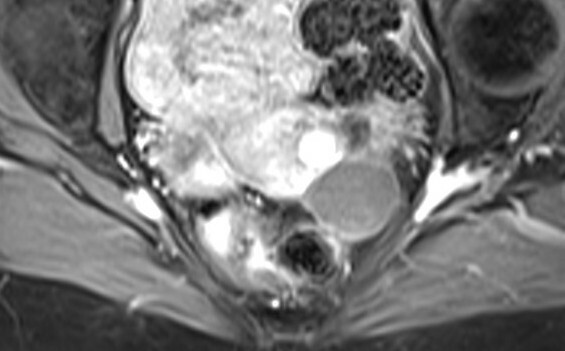 A subsequent transvaginal ultrasound showed an isoechoic left adnexal mass. 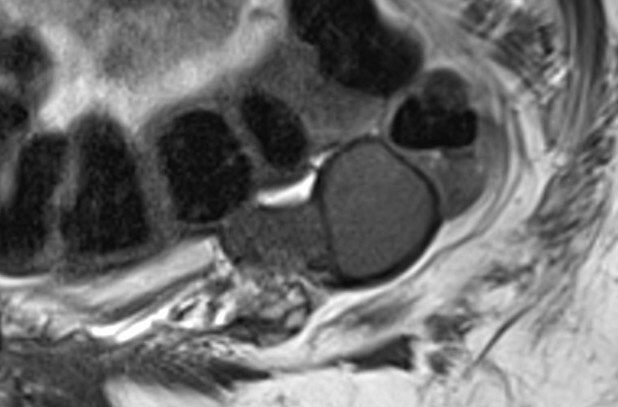 MRI was obtained for further evaluation of the left adnexal mass. 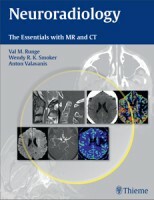 3T (Siemens Verio) using body coil. Image 1: T1 axial VIBE fat sat (TR/TE 4.6/2 ms, slice thickness 3 mm, scan time 19 sec; Image 2: T2 sagittal (TR/TE 3300/88 ms, slice thickness 4 mm, scan time 3 min 52 sec); Image 3: T1 VIBE fat sat after injection of 0.1 mmol/kg of gadolinium chelate (TR/TE 4.6/2 ms, slice thickness 3 mm, scan time 19 sec). Images show a well circumscribed 3 cm lesion in the left adnexa which is hyperintense on T1 and hypointense on T2. 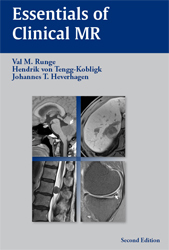 The lesion does not enhance on post contrast images. A subtle degree of “shading” is noted on the T2 sequence. 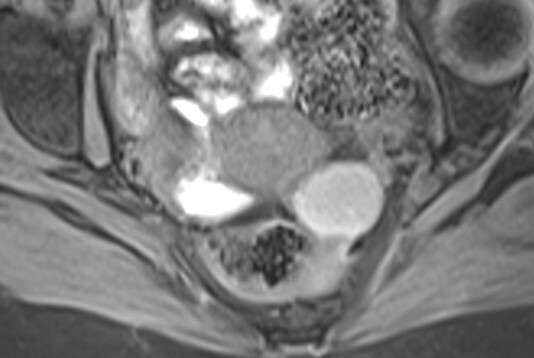 A hypointense rim around the lesion may represent adjacent compressed ovarian parenchyma.